How I Save Money When Buying Makeup! I know that I'm not the only person who has a slight makeup obsession...ok, maybe a huge obsession. Well I know that sometimes it can be upsetting when you realize how much money you spent on makeup that you probably didn't need. I remember the first time I became a VIB I freaked out because I thought that it was a lot of money spent, but when I reached the VIB Rouge status I knew that I had become completely addicted. 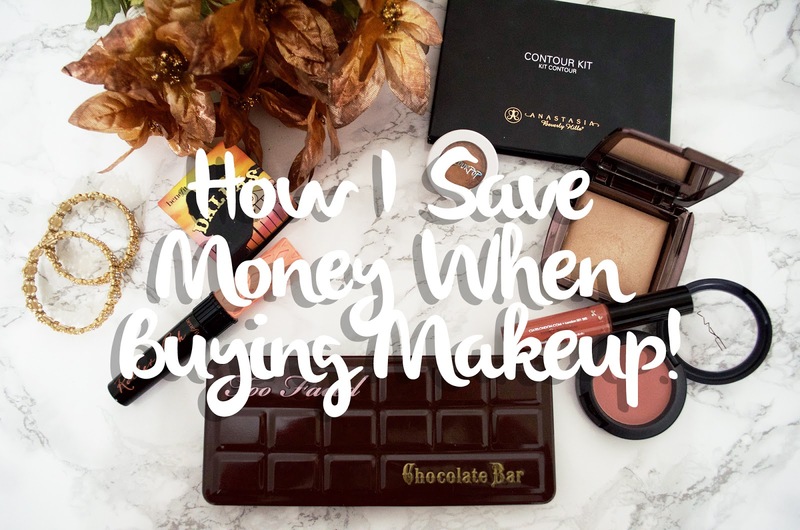 Over the years I learned so much more when it comes to saving money on makeup so here are a few tips. Don't be afraid to ask for samples. I understand that it could be awkward sometimes walking up to an employee asking for samples but most of the time they're more than happy to do it for you. Get samples of something that you've always wanted and then try it out, if you don't like it then go out to buy the full size, if you don't then at least you didn't spend money buying the product since you had a sample. But don't take advantage of the system and only get samples of the same product all the time without buying it. Take advantage of free mini samples. 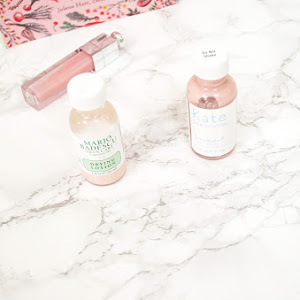 These samples are much different than the typical samples, these come in cute little packages which usually looks like a very miniature size of the original product. 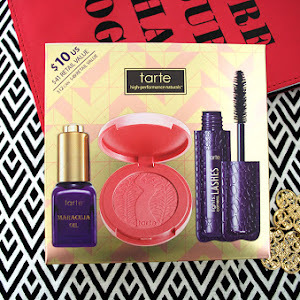 Sephora, Ulta, Macy's and probably many more stores offer free gifts with purchase. 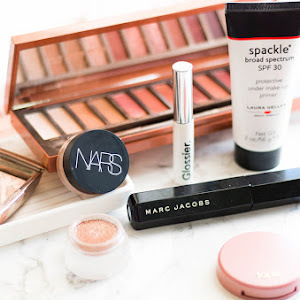 I know that at Sephora whenever I'm shopping I will check out the 100 point perks just to see what they have, usually I find really great sample sizes that are actually the same size as a travel item. Ulta and Sephora usually send out emails with promo codes that you can use to get samples with a purchase. Most of the time there are really great products to choose from. Ebates. I was skeptical about this site when I first heard about it because why would anyone want to give you money back for shopping? But when my aunt told me that she has been using this website for a while I decided to give it a try and let me tell you this, it's legit. I am someone who orders online frequently and to know that I would get cash back for my purchases is amazing. Sometimes Sephora has 8% cash back which is kind of like 8% off my purchase. If you don't have an ebates account you should sign up here (my referral link). So far I've saved about $40 from this site which I am so happy about. Always check the ounces. 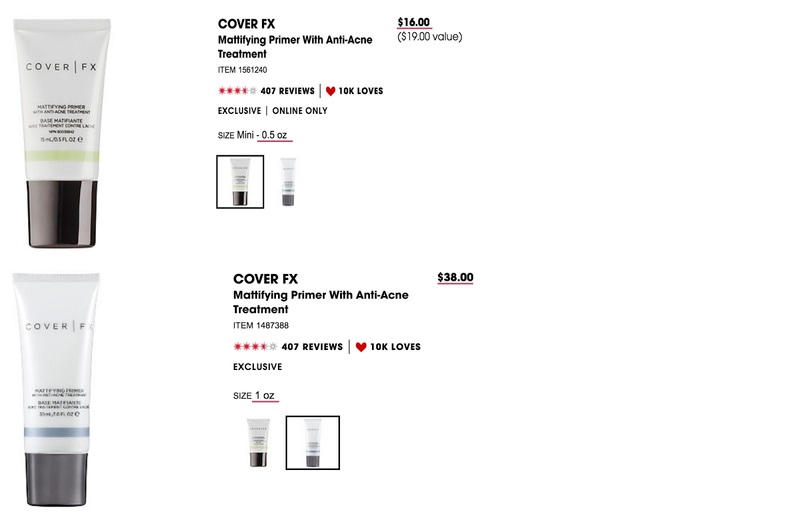 Look at the comparison below, the travel sized primer is $16 for 0.5 oz and a full size is 1 oz for $38. If you bought two of the travel size ounces you would get 1 oz of product for $32 compared to buying the full size that is also 1 oz but costs $38, that's a $6 difference. A lot of brands do this, so make sure you check the ounces before you decide on a travel size or full size product. Dupes. I know this sounds obvious, but this is the truth, you don't always need the fancy high end product when you could find something very similar at the drugstore. This is why I like going to Ulta at times, if there's something I really like and I know there has to be a dupe then I'll go there to look at the drugstore items. For me I personally like dupes when it comes to lip products because the colors will look the same and the formula will be similar too. I love the NYX lip products and I feel as if they're better than a lot of high end brands, they last longer too. Price Comparison. This always happens to me, I never look at prices online and end up spending a few more dollars. Some stores may carry an item for $8 but at another store the item could be $6. You may think $2 is no big deal but it all adds up, you could either be spending $20 or $35 depending on where you're shopping. 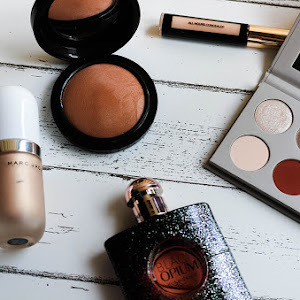 A lot of sales are happening this month and the Sephora VIB rouge sale is tomorrow, so for anyone who is going to be shopping for more makeup, I hope some of these tips work for you just like they work for me. 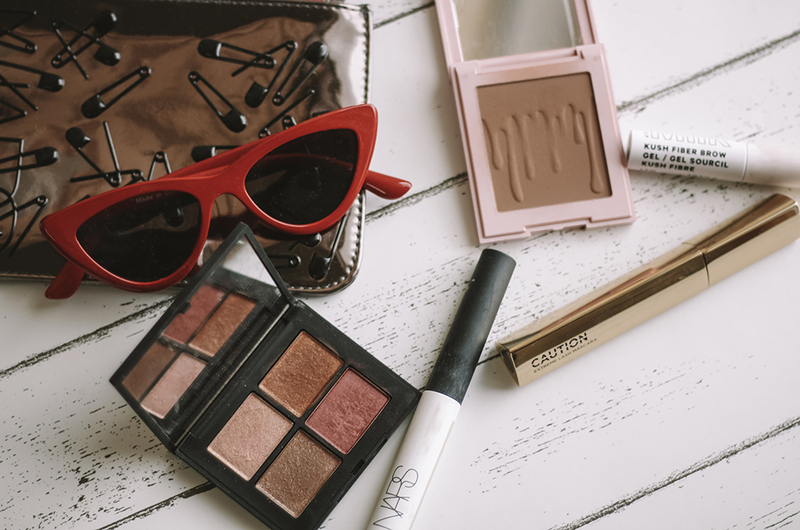 Are there any tips you have when it comes to saving money with makeup?